Andy Craggs World Photography represents over 20 years of international project work covering travel, portraits, fashion, architecture and the performing arts. 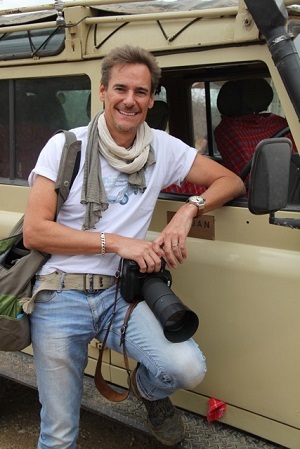 Andy also works extensively with NGOs such as the World Health Organisation on humanitarian projects involving health management and development. Independently he has developed country profiles of Tibet, China, Nepal, Japan, India, Pakistan, Peru and Chile to explore social and cultural issues in those environments. With fellow photographer Steven Lee Andy helped establish Explorenation which specialises in customised global photography workshops for aspiring and professional artists (www.explorenation.net). Andy has shown and sold work at galleries and venues worldwide and is represented by Hoopers Gallery London (www.hoopersgallery.com) and Fiumano Fine Art London (www.fiumanofineart.com). For more information on World Photography or to see more work, contact us via email at andy@andycraggs.com. Original signed and numbered prints are available by size framed or unframed, and can be shipped worldwide. Prices vary by size and subject. Please email us with any questions or comments. Thanks!